This is one of our household favorites. The kids love it and it’s beautiful mixed with something alcoholic for the Vixen’s! Champagne is my chosen and it’s oh so good! Navel oranges are almost in season, a good price and super sweet and juicy Also grab the navel if you can as they are usually seed free! Add Oranges and sugar to Thermo bowl and blend speed 9 for 15 seconds. Add half the amount of ice (300g – 350g) and blend for 30 seconds slowly increasing the speed to speed 9. Once all the ice is crushed add the remaining ice and repeat the process. This should be a nice smooth blend that is drinkable. If you think it is too thick add some water and blend again to mix. Serve! 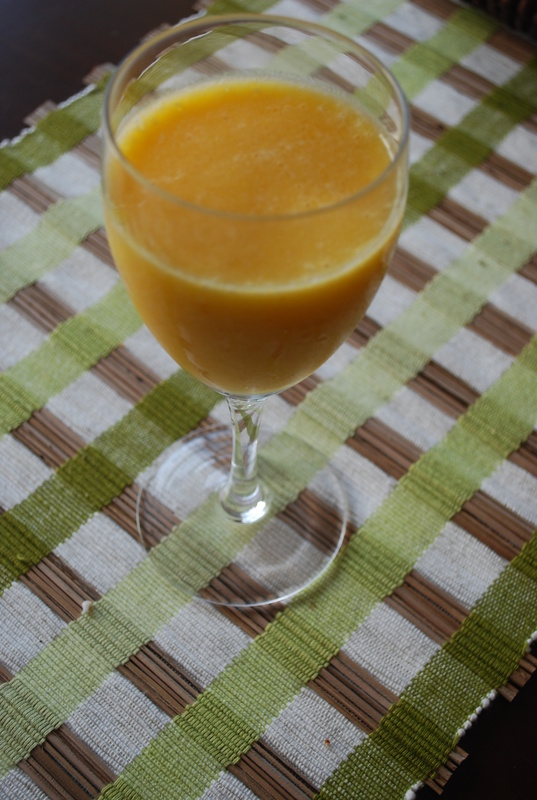 Any leftovers can be re-frozen and blended up next time to make a quick slushy or sorbet. 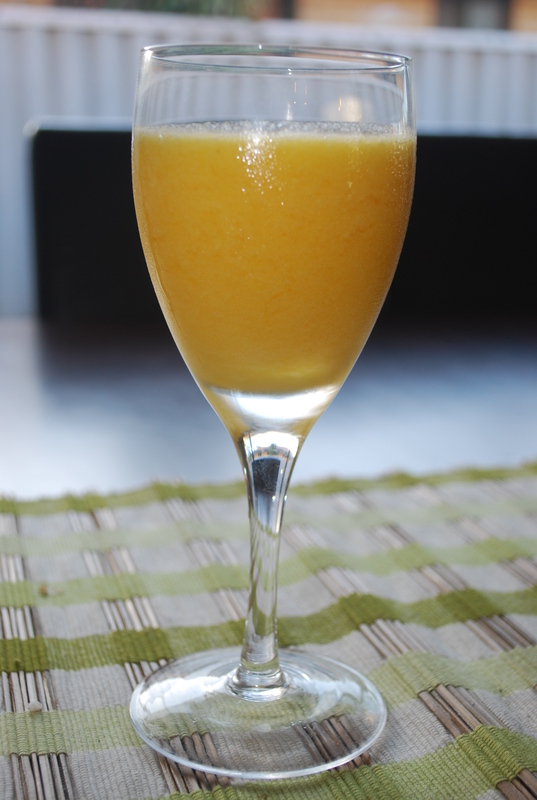 Other fruits can be substituted to make any flavour slushy or cocktail you like. Would love to hear what you flavours you love to make!